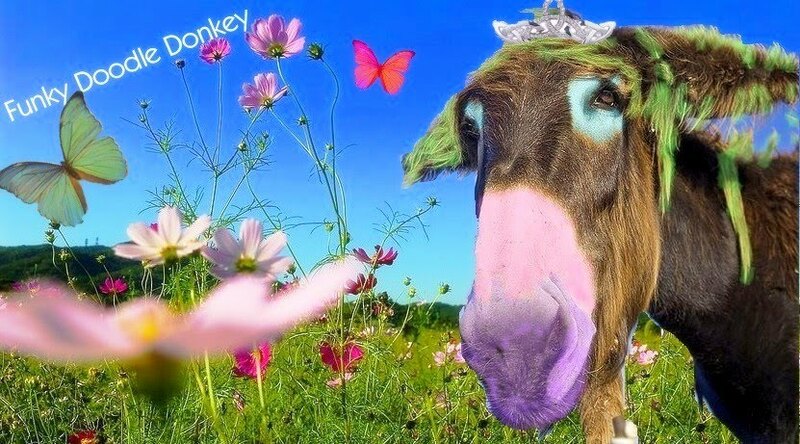 Funky Doodle Donkey: Punk, Rock & Goth Party! Punk, Rock & Goth Party! We had a Punk, Rock and Goth Party for the girls 10th Bday and had about 30 kids and 10 adults coming over. We had a band and a DJ, with a smoke machine and laser lights, the kids all had glow in the dark glasses, bracelets and other items which they were wearing, so you could find each other. The evening was gorgeous, not too cold and the kids danced away on the FAB music of the DJ. They were very excited to have the band, but then when they played they didn't dance anymore... I guess those rock band songs were hard for them to dance on... then you can see that 10 years old is still so young!! But the adults danced at that point. All the kids were dressed up either as Punk, Rock or Goth. For most of the girls it was goth, they are so intruiged by all the black and especially the make up! Smokey eyes is the IN thing now!! The girls in their Goth outfit, make up, nails, hair all done into detail. We had all kinds of glow in the dark gadgets to make it even more fun! Most of the girls in one shot! As soon as the girls had to pose with the boys they felt a bit awkward. Pre-party posing with Candice, my friend and mother of one of the band members Leo. Posing in their Goth outfits from L to R: Paula, Cathlynn, Elle, Juliet and in front Jasmine. The girls are dancing the Macarena dance. Even the boys did the Macarena dance. The party was great and I believe that everybody had a good time! Pfew... it takes another whole year to come up with a new theme for their 11th Bday party! Happy 10th Bday sweet peas! !